According to BetaNews, in Nintendo's E3 keynote this morning came not only the official announcement of Animal Crossing: City Folk for the Wii, but also something unexpected - VoIP functionality (voice chat) and native SMS/e-mail interactivity. 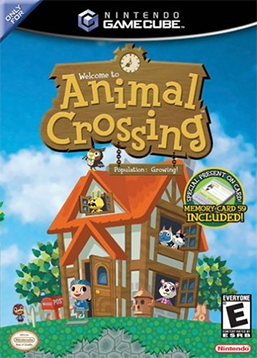 Animal Crossing: City Folk is the third in the Nintendo Animal Crossing series - a life simulator game. Sounds like Second Life to me. This follows-up the lauch of Animal Crossing in 2001 and Animal Crossing: Wild World in 2005. You assume a anthropomorphic character (resembling both human and animal) and in the open-ended life simulation game you live in a village but there is little preset plot or mandatory tasks. Called WiiSpeak BetaNews explains that it's "an ambient microphone peripheral meant to encourage live group chatting in Wi-Fi gameplay." Also, though only mentioned briefly, the feature in previous versions of Animal Crossing that allowed users to send each other letters in-game, has been expanded to include sending letters outside the game. Communications can be sent to the Wii Message Board, e-mail accounts, and even cell phones via SMS. I wonder if this is using the new Logitech wireless keyboard for the Wii (also launched today) to text/email messages outside the game? That's pretty cool - connecting your virtual simulated life communications with your real life communications. Before you know it that line will be so blurred you won't know the difference. Called WiiSpeak BetaNews explains that it's \"an ambient microphone peripheral meant to encourage live group chatting in Wi-Fi gameplay.\"